There's seemingly an endless amount of Munchkin sets that can exist, each with their own unique themes and twists that make the game a bit different with each play. 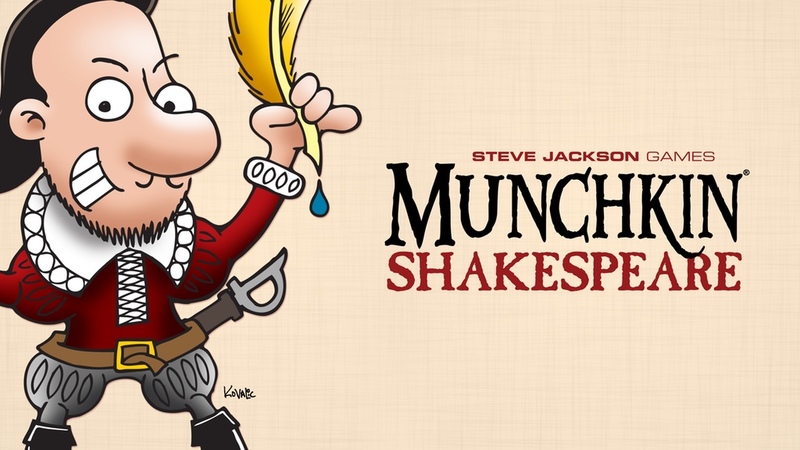 This time, Steve Jackson Games is going a bit old-school, making a set based on one of the most famous wordsmiths ever: The Bard, himself, Shakespeare. They've got a Kickstarter campaign running for this one now. 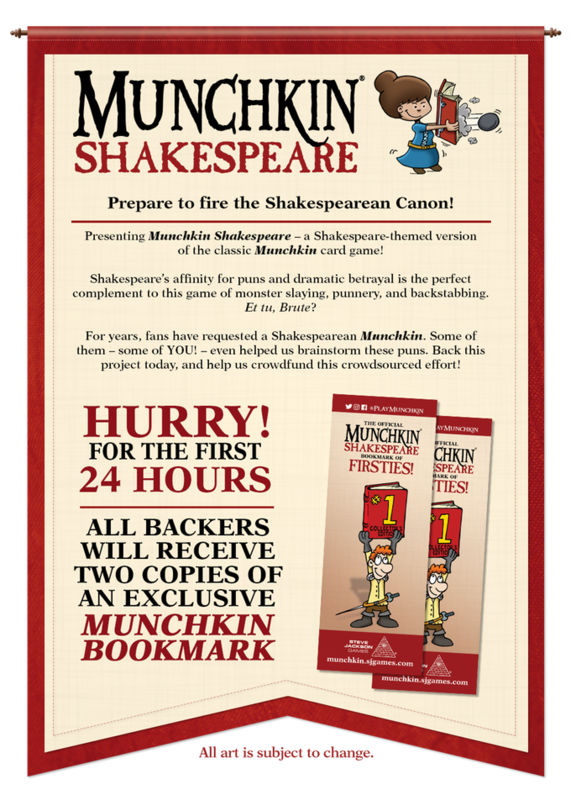 The campaign is closing in on 2x funded already with still 30 days left to go.